“Sangliers sur la ligne,” said the announcement as the TGV, France’s high-speed train, ground to a halt somewhere between Paris and Burgundy. We got a good view of the wild boar, about a dozen of them, as they left the tracks and sauntered across a field before disappearing into some forest. Then we were on our way again. Wild boar is big in Burgundy and the hunt – la chasse – forms an integral part of village life through the winter months. Over the years I have enjoyed terrine de sanglier, rillettes de sanglier, jambon de sanglier and hure de sanglier, all of which need a glass of something sharp to ease the challenge of digestion. Such as? Such as the gorgeous, raspy-fruity Hautes-Côtes de Nuits made by Anne Gros in Vosne-Romanée. It’s brisk, it’s bracing, it’s wonderfully gluggable. Her top wines are wonderful too, the Richebourg and the Clos de Vougeot, and if you can get somebody else to pay then lucky you. 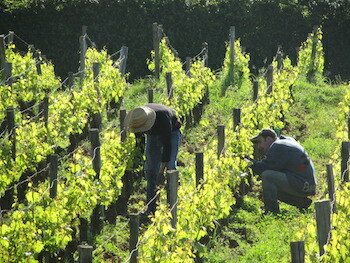 Gros’ domaine runs to a modest 6.5 hectares but her reputation spans the globe like many other top-notch, family-owned Burgundy domaines. At the other end of the spectrum are the large négociants such as the recently revitalised Faiveley in Nuits-Saint-Georges, which will celebrate its bicentenary in 2025. The humdrum flavours of yore are being banished in favour of something more exciting, though they still rear their bland head now and then. A similar blandness pervades the red wines of Vincent Girardin, though the whites are exemplary, beautifully crafted and with impressive depth of flavour. 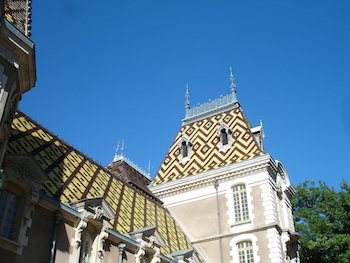 When people say ‘Burgundy’ they are usually referring to the heart of the region, the Côte d’Or, but it is bigger and more elongated than is often realised. 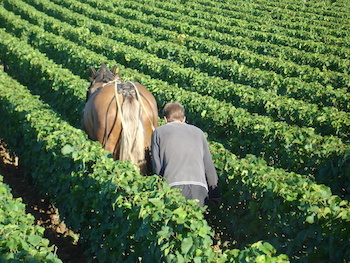 With only a little geographical licence it could be said to stretch almost from Paris to Lyon, starting with Chablis, then the Côte d’Or, the Côte Chalonnaise, the Mâconnais and finally Beaujolais, which, strictly speaking, is part of the greater Burgundy region, though her wines of Gamay and granite sing a very different tune to the Pinot Noirs and Chardonnays grown on the clay and limestone soils of a little further north. Burgundy is most picturesque around the town of Fuissé in the Mâconnais, where the crazy, topsy-turvy landscape presents ever-varying vistas of vine-clad slopes, dominated as you look north east by the sweeping limestone outcrops of the Roche de Solutré and the Roche de Vergisson. Here the wines, all white, can run to fatness if not dextrously vinified by the likes of the Bret Brothers at Domaine de la Soufrandière, or Stéphane and Richard Martin at Domaine de la Croix Senaillet. They represent the flip side of the coin to Chablis’ wines of steel and savour, both made from Chardonnay yet radically different one from the other. Which is the essence of Burgundy: much greater variety in the wines than is first supposed, enough variety to prompt a lifetime’s investigation and discovery. Bruno Lorenzon – who is a ringer for George Orwell – is a man on a mission. As he says: “I take risks from the start.” He plants his vineyards at very high density, he doesn’t chaptalize or acidify, uses very little new oak and keeps the alcohol levels moderate. 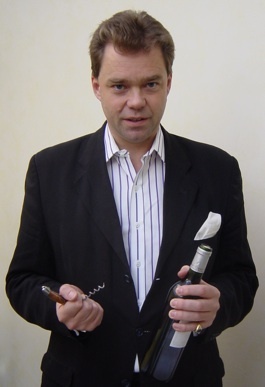 In other words he keeps the touch of the winemaker’s hand as light as possible. The resulting wines are pure and delicate, deceptively light in texture yet impressively long on the finish. My notes from my visit here remind me that Christophe Thibert repeatedly mentioned, “keeping the freshness,” in his wines, and he is as good as his word. There’s no flab or sloppy use of oak, no lush tropical fruit or heavy hit of alcohol. Instead the wines are characterised by “harder, flinty notes… lovely savoury fruit and a herbaceous streak.” If the superstar whites of the Côte d’Or are now beyond your budget, look here for substitutes. The stone steps take you down to a cramped cellar, gravel-floored and packed with barrels. There’s no need for a tour, just glance to left and right and you’ve seen it all. It’s the wines that holler for attention. 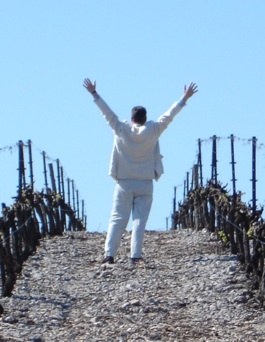 Sylvain Pataille started with one hectare of vineyard in 1999 and now has 15. Fans of his wines wish he had many more, for they are models of a substantial yet balanced style that many others struggle to achieve. The secret is great purity of fruit.